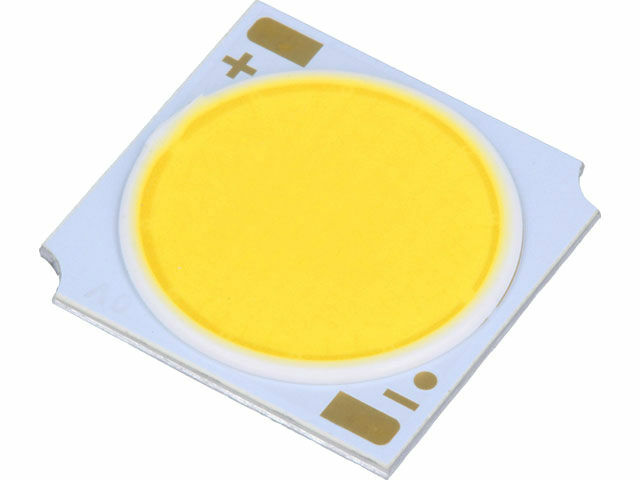 Power LEDs equipped with the COB (Chip On Board) technology are very efficient and cost-effective light sources. The latest (second) generation of COB LEDs by PROLIGHT OPTO not only offers high luminous flux but also provides a high colour rendering index (CRI) rating. – light source efficiency ranging from 84.3lm/W to 94.2lm/W. Second generation power LEDs with COB by PROLIGHT OPTO are ideal for applications such as industrial lighting, decorative lighting and spotlights.